three years to confirm it had really started working again. It was built in MIT in 1965. The news has rocked the astronomic community and space experts are baffled how and why the outdated satellite has come back online again. Brit Phil Williams, an Amateur Radio Astronomer from Cornwall, was the first to retrieve a signal from LES1, built by MIT in 1965. Williams noticed a “ghostly sound” in the satellite’s signal – sparking some to believe it may have been hijacked by aliens trying to communicate with earth. He thinks that a component failure caused the satellite’s transmitter to start up again on 237MHz, although it can only work when the solar panels come into the light. Because the satellite is tumbling over on itself every 4 seconds, the signal fluctuates when the panels are shadowed by the satellite’s body. It never reached its intended mission orbit in 1967 and has been spinning out of control for decades. 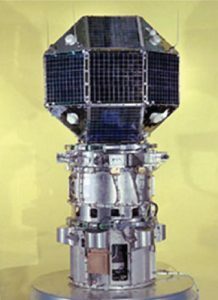 LES1 was launched from Cape Canaveral on February 11, 1965, but only a few of the mission’s objectives were accomplished. 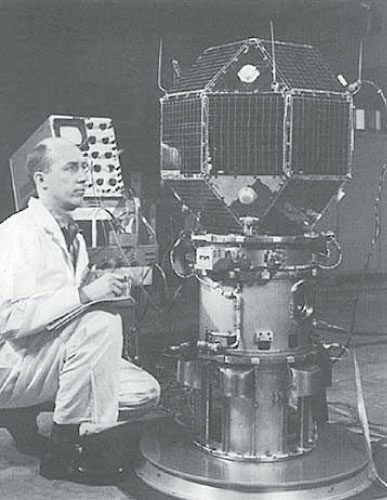 Circuitry miswiring caused the satellite to cease transmitting in 1967. LES2, the twin of LES1, did much better; that satellite’s final orbit occurred on May 6, 1965. This is not the first time a NASA solar probe was lost and found again. In 1998, the Solar and Heliospheric Observatory lost contact with NASA for 22 months before suddenly reappearing.